Enter as a pair, players do not have to belong to the same golf club. Stableford scoring format - both scores to count. The partnership with the best nett two scores total will win the Championship Trophy. Best individual score wins the County Handicap Trophy. Please complete the form below the entry conditions to enter. Entry Fee: £34 per partnersip. Closing Date for Receipt of Entries: Wednesday 10th June 2015. 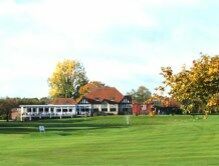 Championship Format: The County Handicap Pairs Championship will be decided over 18 Holes of Stableford play, with both players’ total score being aggregated. The starting field is not normally limited but remains subject to review by the Tournament Committee. Any ties will be settled in accordance with the provisions of CUGC General Condition 11. The Team returning the lowest nett score will receive the Championship Trophy and a memento; prizes will also be awarded to the runners up. 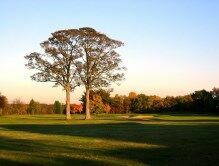 In addition, the player with best individual nett Stableford score will receive the O’Hanlon Championship Trophy. Handicap and Age Restrictions: Competitors must have a current active playing handicap not exceeding 28, which must be an official CONGU UHS Handicap. No age restrictions apply; however Boy’s wishing to submit an Entry must understand and ensure that the requirements of CUGC General Condition 14 are complied with. 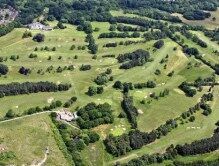 Competitors should note that all County Championships are conducted according to the CUGC General Conditions for Championships and the CUGC Standing Local Rules. Copies of these regulations are attached and may be viewed on the County Website www.cheshiregolf.org.uk. 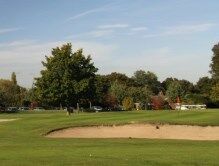 Each Entrant must be a male Member of an Affiliated Golf Club in the Cheshire Union of Golf Clubs; or he must have been born in Cheshire and be a male Member of an Affiliated Club in another County. He must not have taken part in a Stroke or Matchplay Golf Championship of another County Union, or have represented another County Union during the current calendar year. In all cases individual entry shall be made using the County website On-Line Entry Form and Payment facility, or by means of an official Entry Form, available for download from the County Website, this may be submitted by post or facsimile. Entrants must include their active Handicap and CDH number with their Entry. Both the entry and payment procedure must be fully completed and received by the County Secretary of the Cheshire Union of Golf Clubs at or before 12 noon on the stipulated closing date for entries. Any payment by Cheque should be made payable to the Cheshire Union of Golf Clubs Ltd.
No entry fee will be refunded unless firm notice of withdrawal is received in writing or via E-Mail before the published closing date for entries, except for any entrant who may be balloted out and who does not subsequently compete. All entries shall be subject to the approval of the Tournament Committee who reserve the right to accept or refuse any entry without giving reason for its decision, which shall be final. The draw for the Championship will be available for view on the County Website, an on-line results service will also be displayed during the Championship through the website.